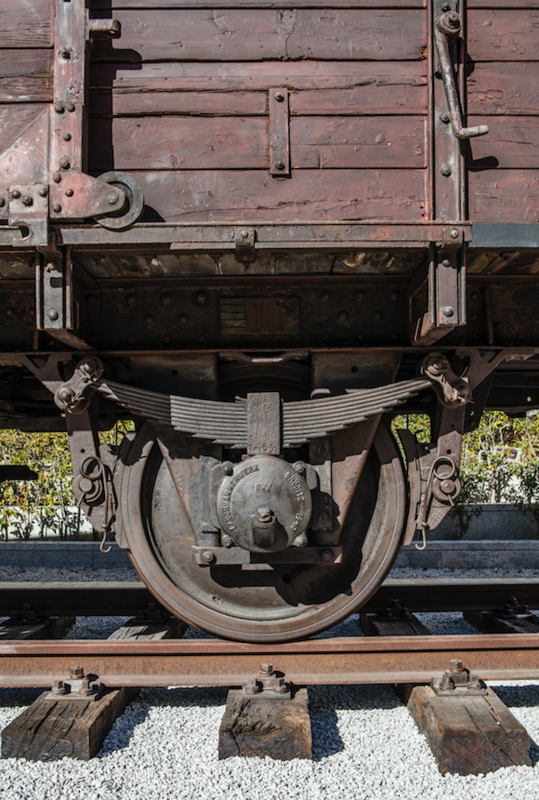 This freight wagon is one of 120,000 built between 1910 and 1927, used by the Deutsche Reichsbahn (German National Railway) to transport foodstuffs, goods, and livestock. 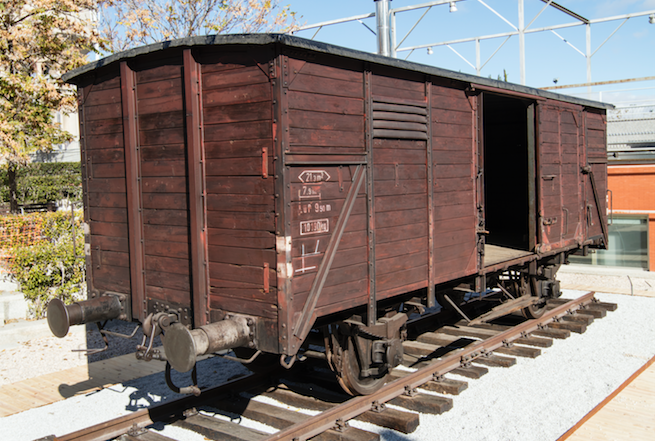 During World War II such wagons were also used to transport soldiers and prisoners of war, and to deport Jews and Roma to the ghettos and killing centers in occupied Poland and the concentration camps across Europe. During the deportations to Auschwitz up to 80 people were crammed in a wagon with a floor space of roughly 20 square meters. Upon their return, the wagons, emptied of human beings, were filled with their possessions. From the summer of 1940 to early 1945, Polish and European resistors to German rule, hostages, Soviet prisoners of war, Roma, and above all Jews, including descendants of the Jews from Spain, were forcibly transported on German railway wagons to destinations unknown to them. Their most common destination was a place in German-annexed Poland: Auschwitz.